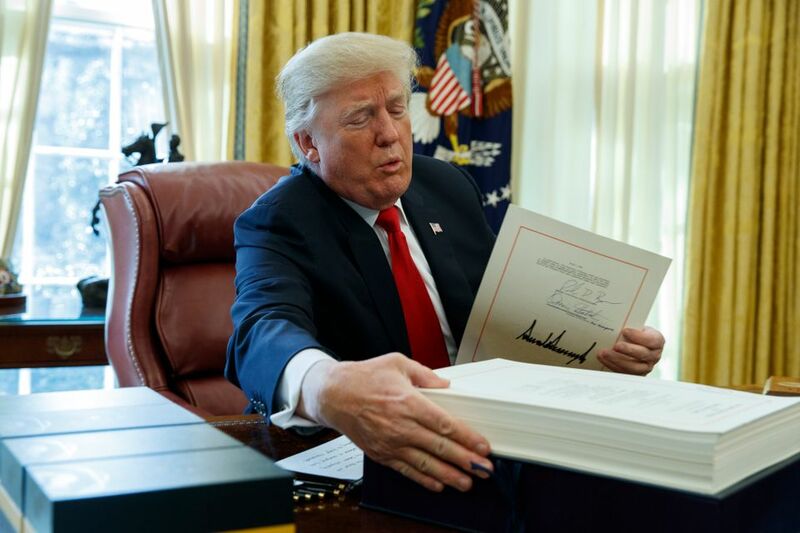 On 22 December, US President Donald Trump signed into law the Tax Cuts and Jobs Act, a Republican victory that drew criticism from many for favouring corporations and wealthy individuals and is estimated to cost $1.5 trillion in federal revenue. Here are some highlights of how the changes, many of which go into effect in January 2018, will impact the art world. The new law cuts corporate and individual tax rates, including a 2.6% reduction for the most wealthy Americans. The individual cuts will disappear in 2025, however. “The high end of the art market—which includes the major auction houses, the larger well-known galleries, the main art fairs, the well-regarded advisors, and the favoured market artists—is supported primarily by the ultra-wealthy, whom the new tax rules favour,” says the art advisor Todd Levin, of the Levin Art Group. While certain benefits have been taken away from art collectors—for example, the ability to sell art tax-free if they use the proceeds to buy a piece of qualifying “like kind” art—it is hard to see how the new rules could negatively impact “the upper portion of the art market,” he adds. For many, the US tax on estates has been basically eviscerated by the new law, which raises the exemption to $11 million per person, or up to $22 million for married couples, until 2025. Before the change, collectors were often prompted to give works of art to museums to deduct their value from the estate and reduce the tax. The tax law also hands a hefty goodie to those who set up their businesses as “pass-through” entities, such as partnerships and limited liability corporations. These non-corporate businesses pass revenue to their owners not as dividends, but as personal income. Now (subject to limits) 20% of that income will be tax-free. Owners of art businesses set up this way, which could include art dealers, art advisory firms, appraisers or other ventures, should reap the benefit. But it is not available to businesses offering “specified services” or employee reputation or skill, which could also be applied to various art services. For now, tax professionals are hoping for clarification from federal authorities. The law limits the amount of state and local taxes (SALT) paid that individuals can deduct from their income when calculating tax. For high-earners in high-tax states, this means federal income taxes could go up—which may cause pressure on those states to cut taxes, which would mean a loss of state revenue. If that happens, state funds going to museums could be impacted.